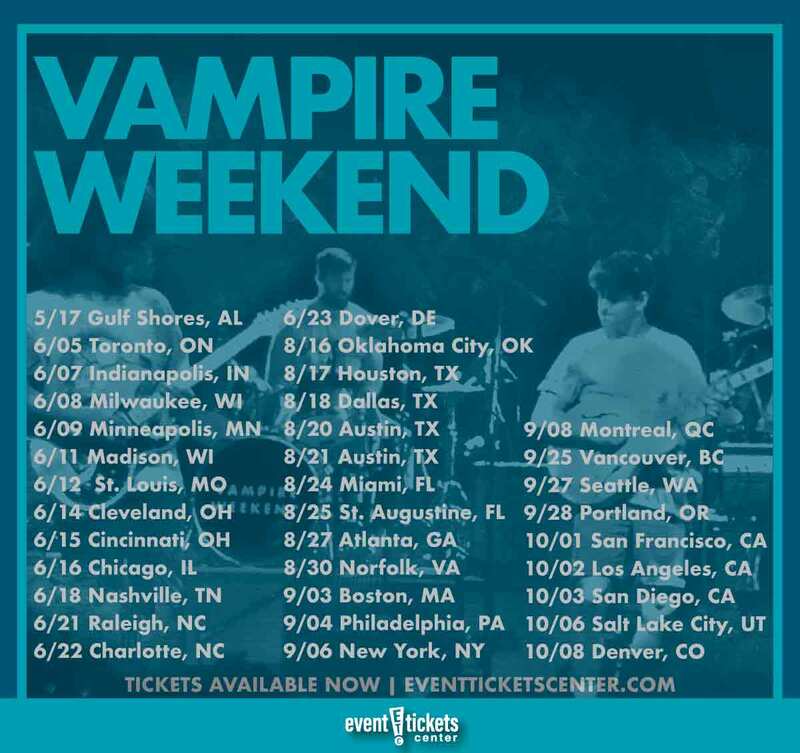 Indie rock outfit Vampire Weekend have announced North American dates for their upcoming summer tour! The 35-date “Father Of the Bride Tour” is set to kick off with a slot at Alabama’s Hangout Music Festival on May 17 before launching into full gear on June 5. Stops will include Milwaukee, Nashville, Austin, and Miami. A final performance at the famous Red Rocks Amphitheater in Denver, CO will wrap things up on October 8. The upcoming run will feature some of the biggest shows to date for the band, including Madison Square Garden on September 6 and the Hollywood Bowl on October 2. The guys are also slotted to headline several festivals throughout the tour including Firefly Festival in Dover, DE on June 23 and a few more abroad throughout July. The “Father Of Bride Tour” will be in support of their highly anticipated fourth album of the same name, due out this spring. Father Of the Bride will mark their first release in six years since the Grammy Award winning Modern Vampires of the City hit shelves in 2013, and their first project to feature guest vocalists. New York-based indie rock group Vampire Weekend first emerged in 2006, playing gigs around their college campus at Columbia University. Their distinct sound that combined elements of indie rock with Afro-pop inspired melodies and well-read lyrics resonated with fellow students and audiences, and the group quickly earned a loyal following. In 2007, the guys packed up and hit the road, touring extensively and vastly expanding their fan base. 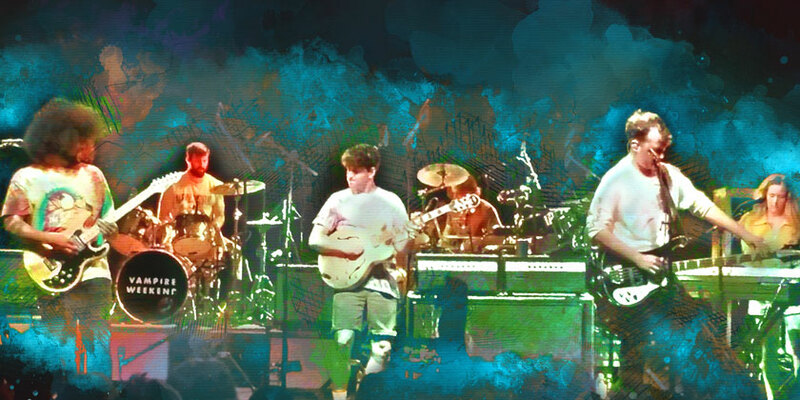 Vampire Weekend’s self-titled debut album followed in early 2008, hitting the Top 20 on both the American and UK album charts and becoming the year’s most popular indie release. Contra arrived two years later, debuting at the number one spot on the Billboard 200 and pushing the group to commercial success. Modern Vampires of the City followed in 2013, earning the group their first Grammy Award for Best Alternative Music Award in 2014. Vampire Weekend’s unique style of genre blending has helped define the music of the 2010s. Their swift rise to the top has served as an omen to what many expect to be a very long and successful career for the band, who only stepped onto the scene a short decade ago. Where is Vampire Weekend playing near me?